Add tags (such as 123FormBuilder) in the Default field if needed. That’s it! Now the ActiveCampaign app is connected to your form and form submissions will go to the ActiveCampaign fields you mapped to the form. …all in just minutes, without writing any code! 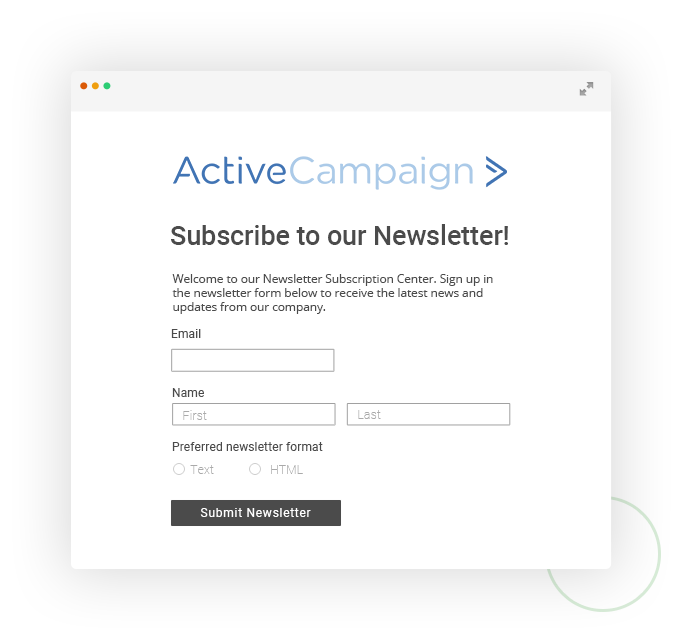 ActiveCampaign began as a solution for business owners who needed to keep in touch with their contacts. There was a demand for a powerful, easy-to-use solution at a reasonable price in a market that lacked options. Its goal is to help marketers send fewer emails while still achieving better results by giving them the marketing automation and automated sales CRM features they need to send intelligent, targeted campaigns.